Buckled: Josie Blake, executive director of the Wabash Valley Senior Center shows some of the buckling in the first floor main room. 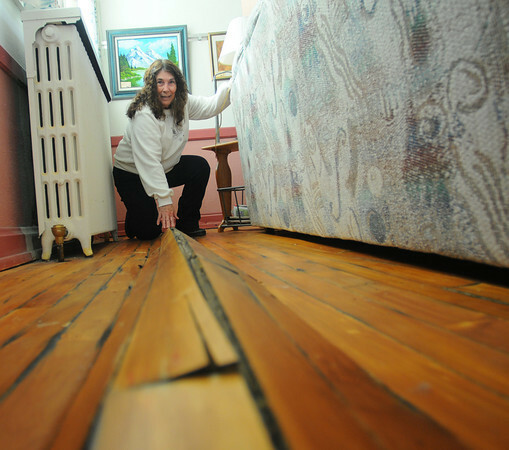 A leaking steam pipe under the floor has caused the damage. A repair estimate of $5,900 has been made.